If you have been following my Instagram feed, you probably noticed my usual hashtags which lately include #clozetteid. Here’s why. 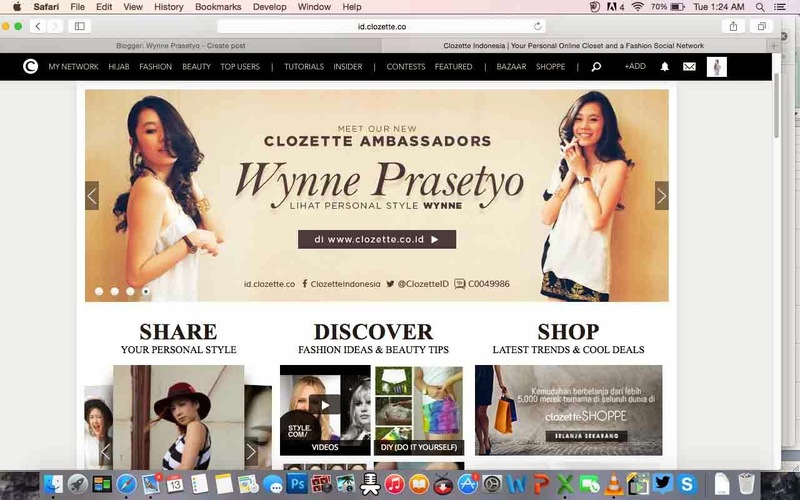 The past few weeks I have been crowned an Ambassador of Clozette Indonesia, a new social platform for fashion and beauty bloggers. So far it has been all excitement and no drawback! On Clozette, you can very easily and practically share your personal style or interest, discover what other users share for inspirations and ideas, and socialize and expand your network in the fashion and beauty community. 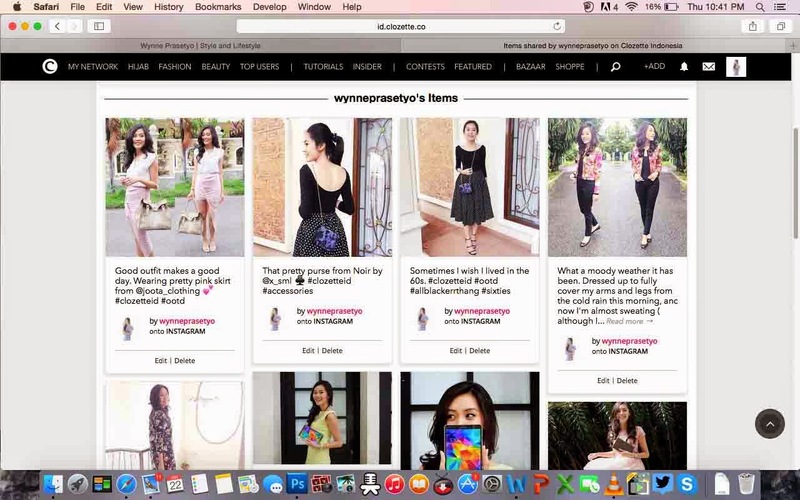 When one or two Clozette users inspire you on a trend or a how-to-wear, you can instantly head to the shop section and indulge yourself in there. Clozette also often holds up competitions in collaboration with prominent brands which is always an exciting thing to participate in for all the awesome prizes. Put simply, being a member of Clozette is a great way to increase your exposure to the fashion community and every party whose market is the fashion community. My favorite thing about Clozette is how easy it is to update my page when a laptop isn’t handy. This is where the hashtag comes into the picture. All you have to do is caption your Instagram photo with a #clozetteid hashtag and they will send the photo up to your Clozette profile for other users to see. Blogging made easy, I may say. So let’s be Clozette buddies by signing up and don’t forget to follow my profile here! Lovely post! Check out my fave of today!